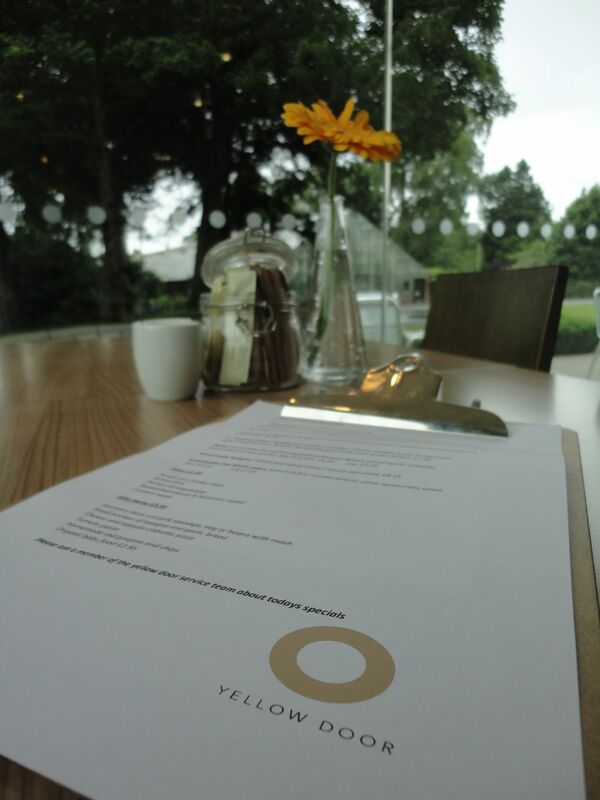 If you’re in the vicinity of the Ulster Museum this summer and feeling peckish, the Yellow Door restaurant in the ground floor of the museum is well worth a visit (open noon-3pm). I’ve never eaten my way through an entire menu before, but – burp – it was a delight to sample the dishes on their new summer menu along with some better qualified culinary commentators one sunny lunchtime a few weeks ago. Before July if you’d mentioned Yellow Door to me I’d have thought about the enormous cherry scones I used to share with Littl’un as an occasional Saturday morning breakfast treat in their Bow Street café in Lisburn. So I was intrigued to hear about the County Armagh-based firm’s bakery, its lack of preservatives (no need if you bake through the night and deliver fresh each morning) and no-margarine-only-butter rule, the grow-your-own/make-your-own mentality and their outside catering. When the Ulster Museum reopened, the canteen-style Girona aitin-hoose (as the Ulster Scots museum guide would describe it) run by John McNally/Stonebridge Group involved a lot of queuing up for food served from metal trays sitting under hot lights, followed by wandering around to find an empty table that wasn’t already being “reserved” by someone for their queuing friends. Yellow Door have overhauled the restaurant to offer a waited dining experience that is a lot more relaxing. Talking to the owner Andy Dougan (pictured) it is quickly apparent that his passion for high quality ingredients - which goes so far as to select which beef cattle will make their way from the field to the plate - is combined with a focus on service training, staff attitude and being able to cope with the sudden surges of trade a museum eatery can experience. The printed menu was full of hints to the local sourcing of the ingredients. Bacon from Moyallon in the tasty Caesar salad, mussels from Dundrum Bay and shorthorn beef from Glenarm sacrificed for the burger. 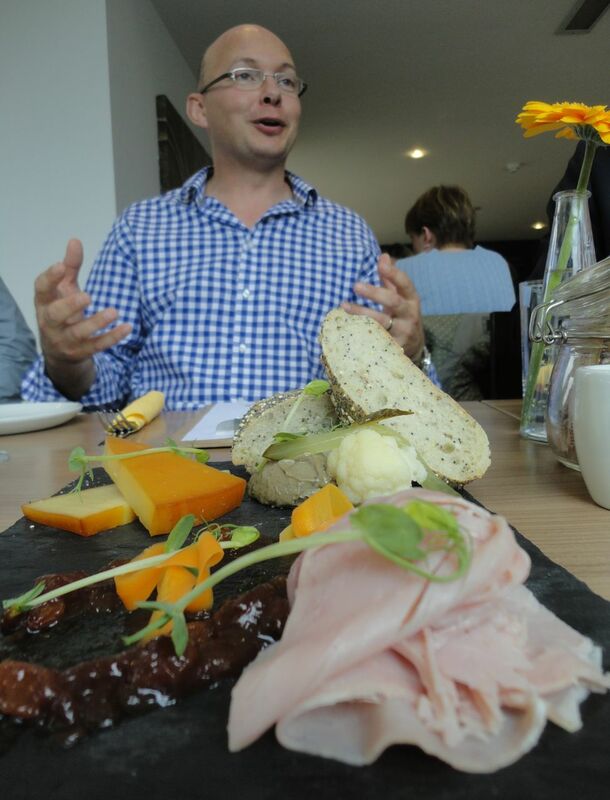 The “Taste of Ulster” board combines a medley of cheese, ham, pâté, chutney and fresh bread, doubling up as a great ploughman’s lunch to share as well as an advert for visiting tourists demonstrating the fine tastes of Northern Ireland produce. Norn Iron stalwarts like lasagne (served with a salad) have their place on the menu alongside fish cakes and pasta. And children haven’t been forgotten with sausages, ciabatta pizza, pasta, cod goujons and lasagne available for hungry museum visitors. 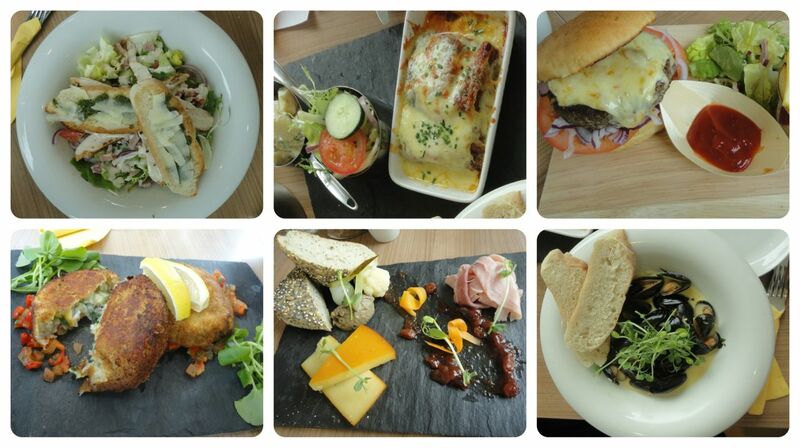 Main courses in the summer menu priced between £7.50 and £8.25; some smaller dishes around £4. Along with Takabuti, the Girona artefacts and Peter the polar bear, the Yellow Door restaurant with its fine food and luscious views over Botanic Gardens is a genuine attraction at the Ulster Museum that deserves to pick up regular visitors independent of the displays upstairs. Yellow Door also operate the Coffee Bar (open 10am-4.30pm). Back in April I mentioned that the selection of radio stations available on DAB in Northern Ireland was going to expand. Ofcom agreed to extend Digital One’s licence to allow it to broadcast its range of national commercial stations in Northern Ireland. The new multiplex will carry 14 stations, 10 of which are new to DAB in Northern Ireland. Absolute Radio (stereo 128kbps), Absolute Radio 80s (mono 64kbps), Absolute Radio 90s (mono 64kbps), BFBS (mono 80kbps), Jazz FM (mono 64kbps), Planet Rock (mono 80kbps), Premier Christian Radio (mono 64kbps), Smooth Radio (mono 80kbps), Smooth 70s (mono 80kbps) and Team Rock (mono 80kbps). Four other stations now carried on the national DAB multiplex were already available on our local commercial multiplex. Eagle-eyed listeners may have spotted the 'old' station names on the local multiplex changing on their digital radios. Classic FM (stereo 128kbps), talkSPORT (mono 80kbps), Kiss (mono 80kbps) and UCB (mono 64kbps). Football fans will now be able to listen to Premier League match commentary on three DAB stations: talkSPORT, Absolute Radio, and BBC Radio 5 Live. The footprint of the six transmitters – Divis, Carnmoney Hill, Derry/Londonderry, Brougher Mountain, Strabane and Limavady – should cover 74% of NI residents. To pick up the new stations you’ll need to retune your digital radio, usually using the Auto-Tune or Auto-Scan button to update the list of stations. More information on retuning available on Get Digital Radio website. With the dearth of choice of DAB stations broadcasting in Northern Ireland up to now, it should be no surprise that figures from Q1 2013 show that only 23% of homes have a DAB radio set compared with 44% of UK homes. Overall digital listening (DAB, Freeview, satellite, online) is low in Northern Ireland with only 21.1% of radio listening hours on digital platforms in Northern Ireland (34.3% in UK). Eyes Ears will now fall to the existing local commercial multiplex (which also carries BBC Radio Ulster), operated by Bauer Digital Radio to see what will happen to the four duplicated slots. UCB are switching off their old/original broadcast in September and the other channels are unlikely to want to pay for additional carriage. Citybeat (stereo 128kbps), Classic FM (stereo 128kbps), Cool FM (stereo 128kbps), Downtown Radio (stereo 128kbps), Heat (stereo 112kbps), Kiss (stereo 128kbps), Q102.9 (stereo 128kbps), TalkSport (mono 64kbps), UCB UK (mono 64kbps) and BBC Radio Ulster (stereo 128kbps). As I commented in April, U105 has so far avoided the expense of entering the local DAB market. BBC Radio Foyle is not available on DAB and I’m not sure if there’s any precedent for the BBC to pay for a second ‘nations’ radio station to appear on a local DAB multiplex. Back in January, Lisburn Library tapped into Northern Ireland’s inner science fiction geekdom and packed out Lisburn Library for an evening talk by Doctor Who special effects designer Mat Irvine. A very neat way to connect popular culture and the small screen with the printed word. Also a great opportunity for Libraries NI to introduce people to their local library and the their local librarians. There was a long queue for autographs, photos and a chance to see close up a few of parts of K-9 that Mat had brought along – his collar, an ear, and maybe even the tail – and No Alibis sold a lot of books … in the library! 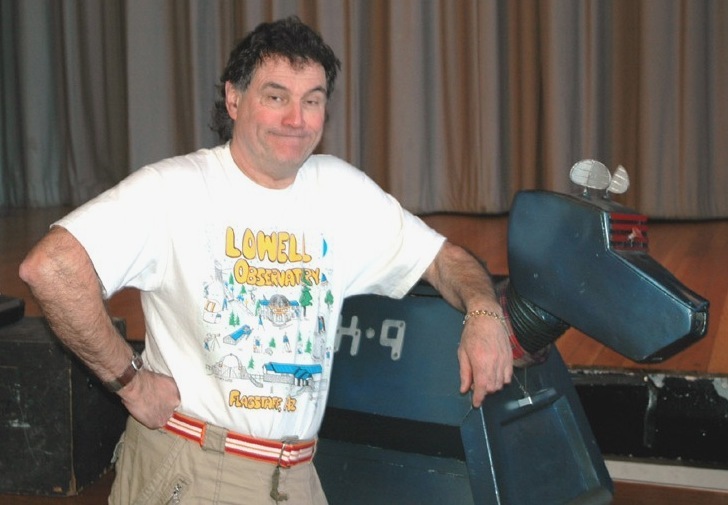 In the final session he’ll be widening his talk from just K-9 to cover his work in special effects (including with K-9) in the Tom Baker era right up to the more recent David Tennant series and Sarah Jane Chronicles. This session is aimed at 12 year olds and over. You don’t need a child to attend, but you will need a ticket (see links above) as the places are limited in the six venues.